A tribute to over 30 years of the gaming industry, the film tells the story of the titular arcade game villain who rebels against his role and dreams of becoming a hero. He travels between games in the arcade, and ultimately must eliminate a dire threat that could affect the entire arcade, and one that Ralph himself inadvertently started. I guess it’s about time to review this one. I saw this when it finally came to UK cinemas last February. I liked it fine but didn’t give it much thought after seeing it. I’ve since kind of half watched it on DVD a few times but today I actually sat down & properly watched it all the way through again and I have to say I appreciate it a lot more now than I did after my first viewing. 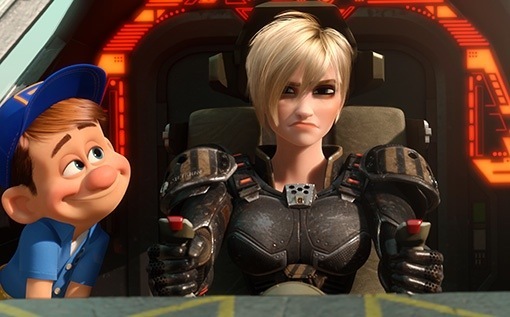 The best thing about Wreck-It Ralph is the concept. LOVE it! Very clever. The concept felt more like what you’d get from a Pixar film (because Pixar is awesome). The movie starts out very strong. Seeing “a day in the life of an 80’s video game villain” was so much fun. 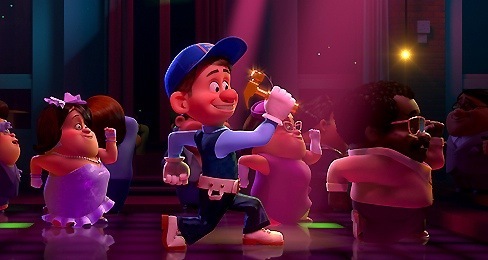 I love how the characters from the actual Wreck-It Ralph game in the movie move around in that funny old style video game way. And Ralph grabbing some fruit from Pac-Man and going to the central airport-style station in between games and seeing “homeless” characters from unplugged games there (like Q*Bert) was absolutely brilliant! But I’m old so I’m a sucker for all the 80’s video game references in this, even though I was never that big on video games. 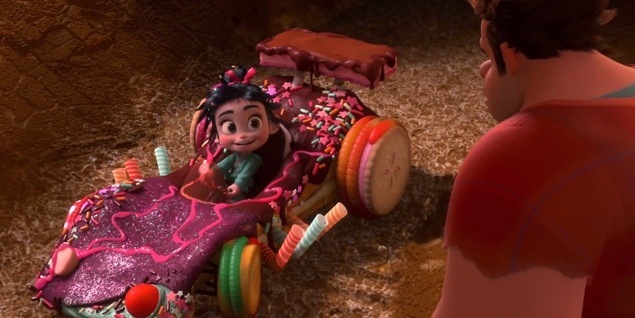 I think the thing that made me not totally *love* Wreck-It Ralph at first was the whole Sugar Rush/Vanellope part of the movie. Vanellope can be a little annoying, yes. I know people feel that same way about the person voicing her (Sarah Silverman) so, if you hate her, you’re not going to like Vanellope. I don’t mind her so I was fine with all that and I have to say that the character has really grown on me. She may be a cheeky little brat but you feel for her once you know her whole story and her relationship with Ralph is very sweet. Plus she’s really cute with her green outfit and candy stuck in her hair! I appreciate the whole Sugar Rush part of the movie much more now. Oh! And I love Fix-It Felix and his crush on Sergeant Tamora Jean Calhoun from Hero’s Duty is really funny. 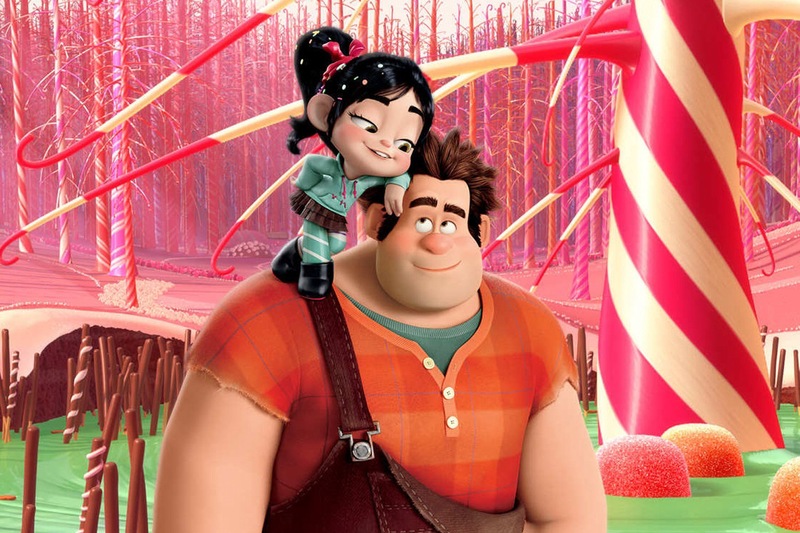 Wreck-It Ralph has a fairly standard Disney-fied ending and moral but I still thought it was far more original than most kids’ films plus I wasn’t actually able to spot the “twist” beforehand and didn’t know how they’d solve problems like Vanellope’s glitch. 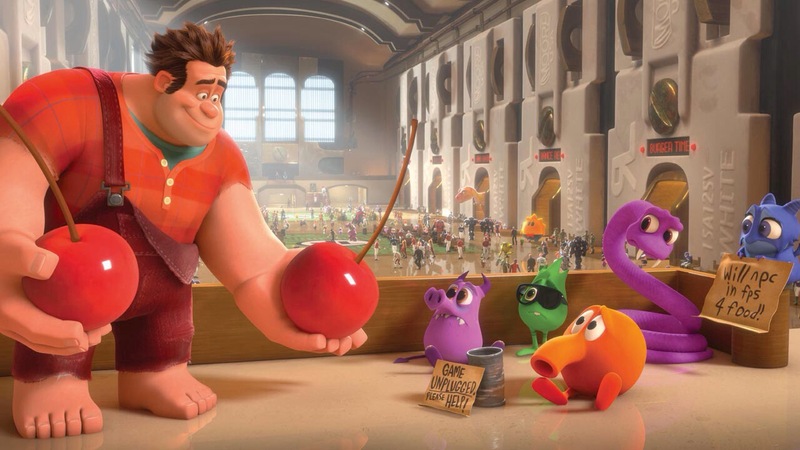 Wreck-It Ralph is a very clever movie and way more satisfying than your usual kids’ film. The story of video game characters living a life outside of the arcade’s opening hours and being able to go from game to game is brilliant, the movie looks really good, Ralph is a great character, his relationship with Vanellope is heartwarming in a non-annoying way, Vanellope will grow on you once you’ve watched the movie enough, and the retro video game references were loads of fun. Plus it’s great when a kids’ film manages to have plenty for both boys and girls to love – too many (non-Pixar) kids’ movies are aimed at one or the other, which I find annoying. 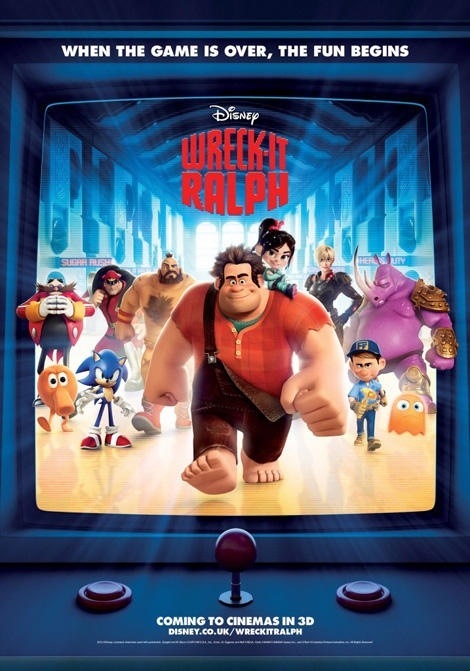 Wreck-It Ralph is fun for boys, girls, and adults of all ages.